Ahli United Bank – Egypt offers a series of cards that only meet your purchasing lifestyle and needs. Ahli United Bank – Egypt has it all covered for you, pick your customized Credit Card upon your needs and live freely. ID Copy for primary and supplementary Egyptian applicants *. Instant Discounts at a group of participated merchants. Cash Back programs at a group of participated merchants. 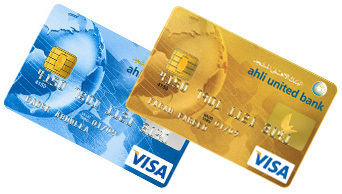 Chip Cards that provides secured transactions & minimize fraud. Insurance on the cards outstanding balance in case of death.